Bumps, red spots and dry skin are skin conditions that women deal with all the time. Whether you notice tiny red bumps after shaving or you have seriously dry skin that seems to worsen through the winter months. We have found a great collection of products and DIY remedies that will help you to treat your skin and give it a healthier look. If you typically see red bumps on your legs after shaving or using an epilating system or you just hate that your skin cracks during cold weather, you can find a number of remedies that are proven to help. 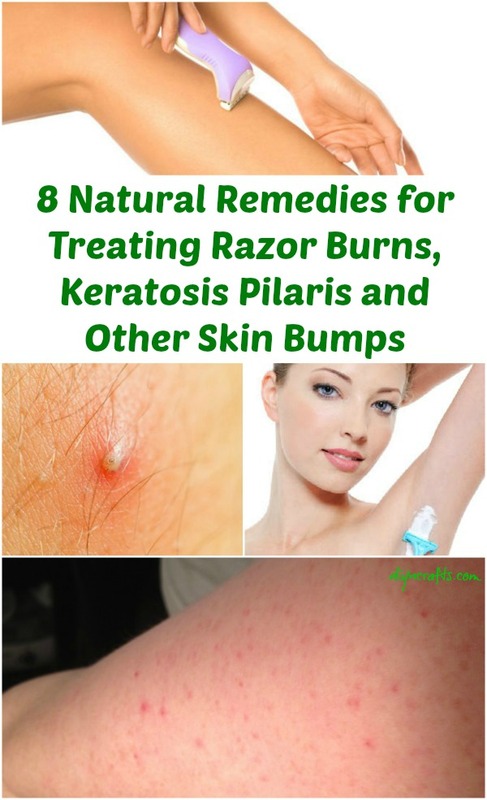 Whether you have bumps on your skin due to shaving or you have keratosis pilaris, there are remedies that will work and some of them can be made with ingredients that you have in your kitchen cabinets. If you notice red irritating bumps after shaving, you can make a great paste from a few mashed strawberries with just enough sour cream to mix into a relatively thick consistency. You just slather this on the area that is irritated, leave it for about 15 to 20 minutes and then rinse clear with warm water. This is a great DIY remedy for red bumps and dry skin after shaving, and it smells great too.